The Hague Conference on Private International Law co-organised, with the Governments of Macao and Hong Kong Special Administrative Regions (SAR) of the People’s Republic of China, a Workshop for East and Southeast Asian States on the Hague Convention of 29 May 1993 on Protection of Children and Co-operation in Respect of Intercountry Adoption in Macao SAR from 27 to 28 March 2013. The Workshop was the first event organised through the Asia Pacific Regional Office since its official opening in December 2012. The event gathered high-ranking officials and experts from East and Southeast Asia to discuss matters related to intercountry adoption. 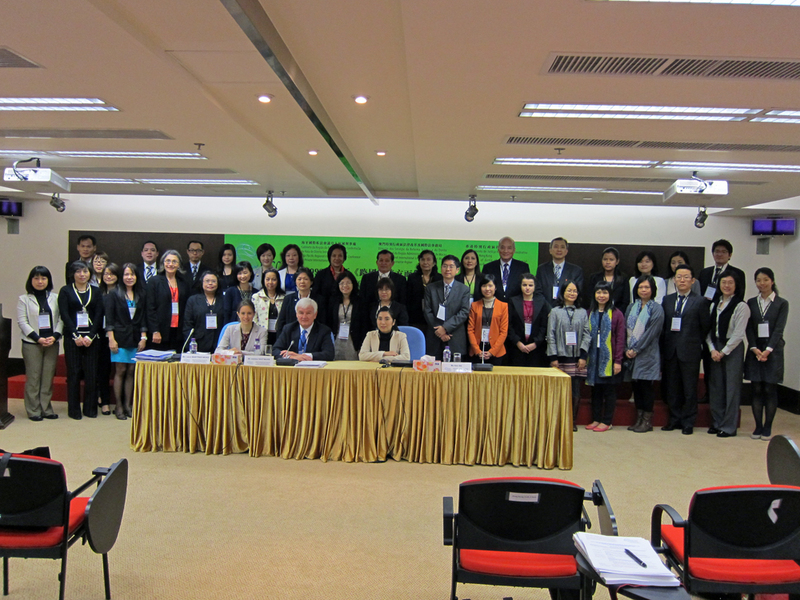 The Workshop was attended by approximately 40 experts from Cambodia, China (including Hong Kong SAR and Macao SAR), Republic of Korea, the Philippines, Thailand and Viet Nam, as well as representatives from UNICEF Cambodia, the International Social Service (Hong Kong SAR and Japan offices) and members of the Permanent Bureau of the Hague Conference, including staff from its Asia Pacific Regional Office. The Workshop provided high-level government officials and other experts with an opportunity to examine the implementation and operation of the 1993 Hague Intercountry Adoption Convention in States throughout the region. Experts shared good practices and identified ways to overcome challenges concerning, amongst other matters, the following: the scope of the Convention (in particular, its applicability to adoptions by foreign nationals (short and long-term residents), dual nationals and relatives living abroad), the authorisation and monitoring of foreign adoption accredited bodies, and the financial aspects of intercountry adoption. The Workshop also provided an opportunity for States Parties to the 1993 Convention to encourage the States not yet Party to consider ratification or accession to this Convention. Experts also had the occasion to promote and build good working relationships with delegates from neighbouring States. The Hague Conference, through its Asia Pacific Regional Office, plans to build on this fruitful co-operation by supporting participating States in their efforts to implement, where necessary, the Conclusions and Recommendations endorsed by all participants at the close of the workshop. The proven value of the technical assistance delivered by the Permanent Bureau of the Hague Conference within the framework of its Intercountry Adoption Technical Assistance Programme (ICATAP) was also noted for this purpose. The Conclusions and Recommendations of this Workshop are available here.